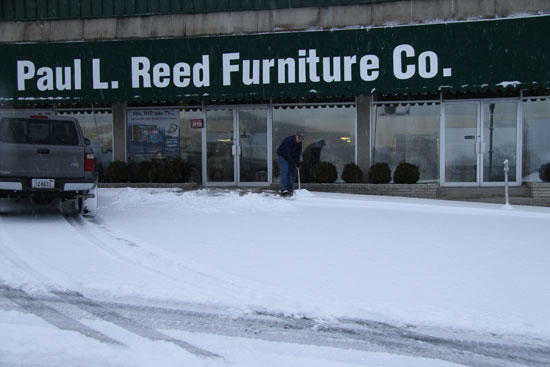 Paul L. Reed Furnture Co. is also open for business today. Co-owner Mike Reed is shown clearing a path for customers shortly after 7 a.m. Another 1-2 inches of snow is predicted over the next two days. Thank you James for your hard effort. My wife is not allowed in Paul Reed's anymore. Everytime she goes in, I come home to a new piece of furniture.